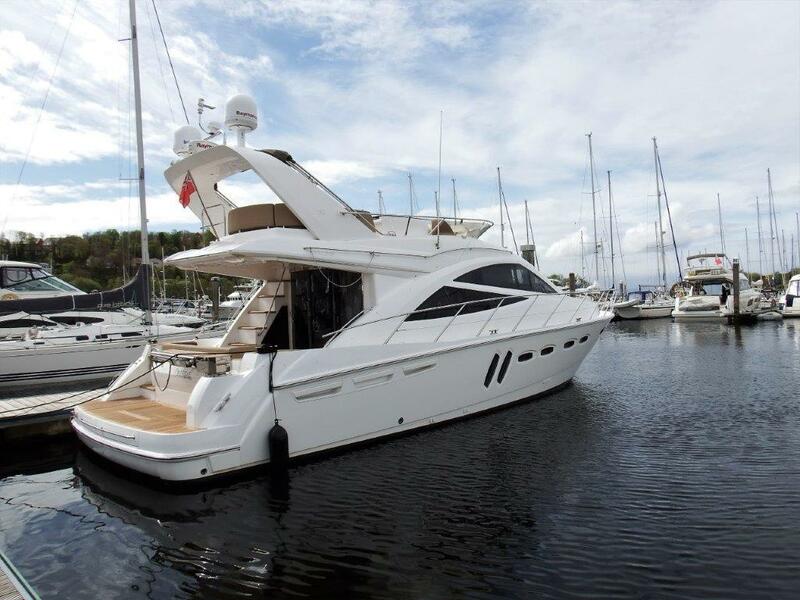 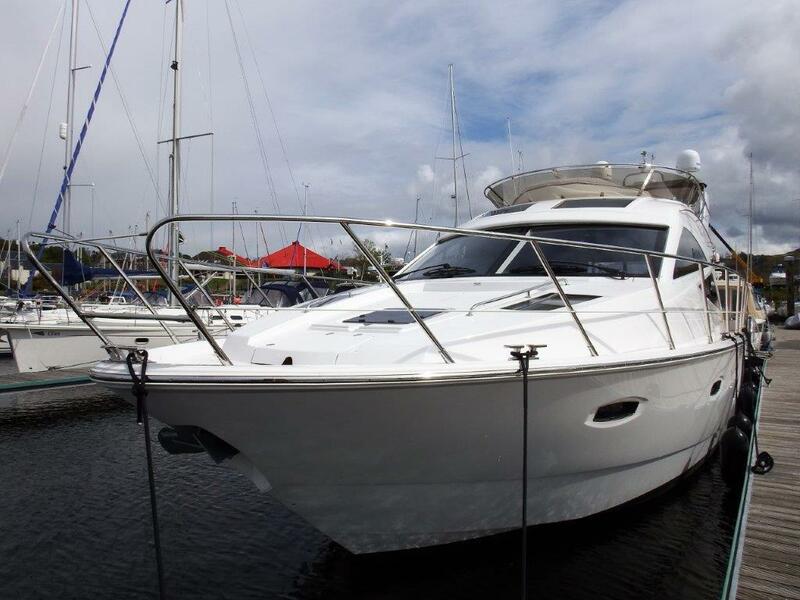 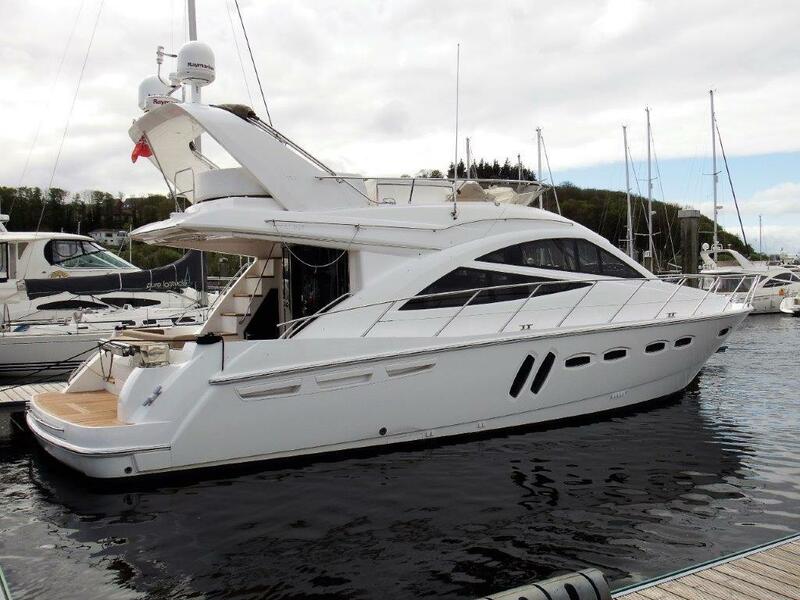 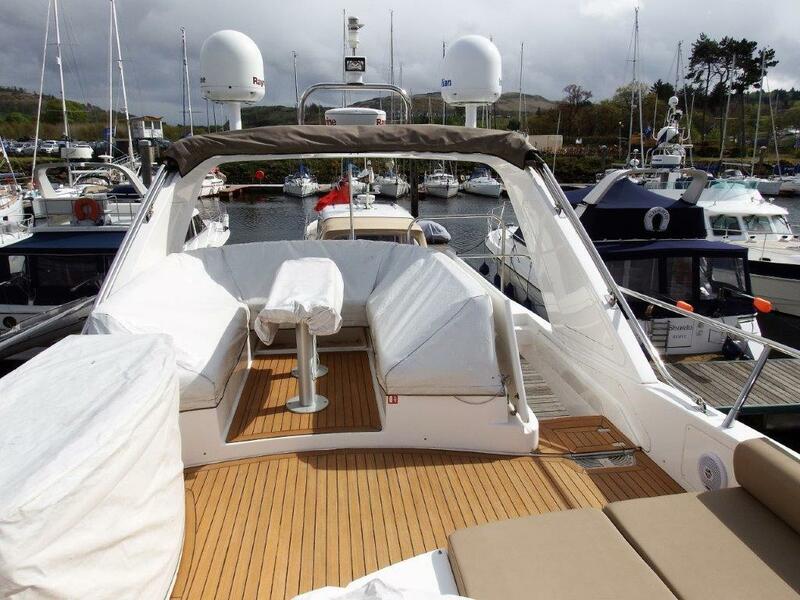 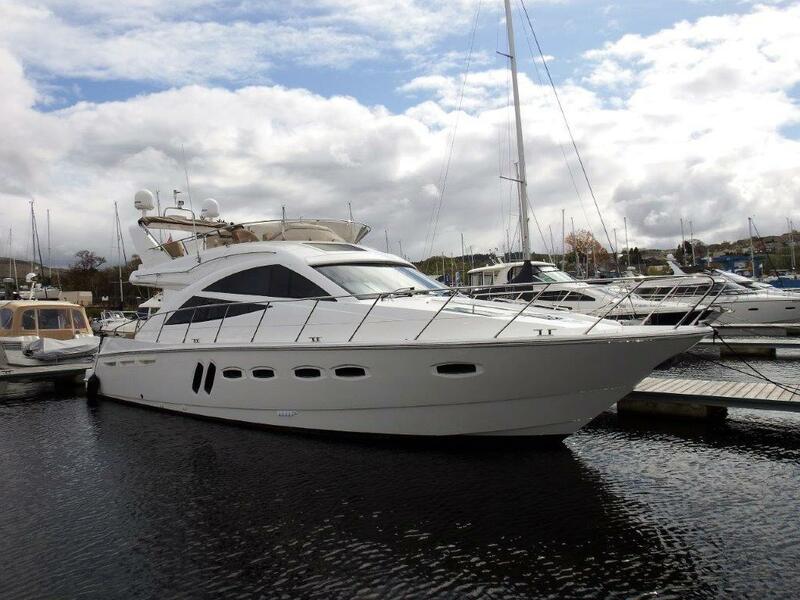 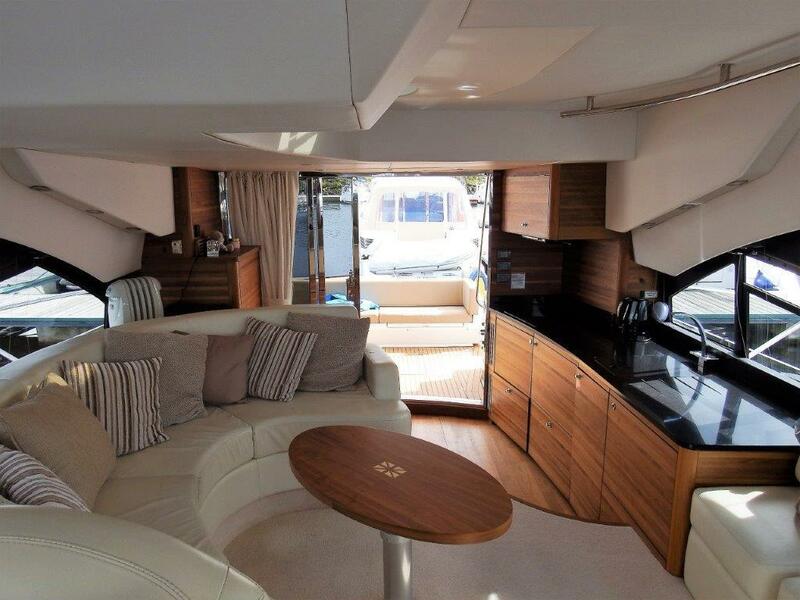 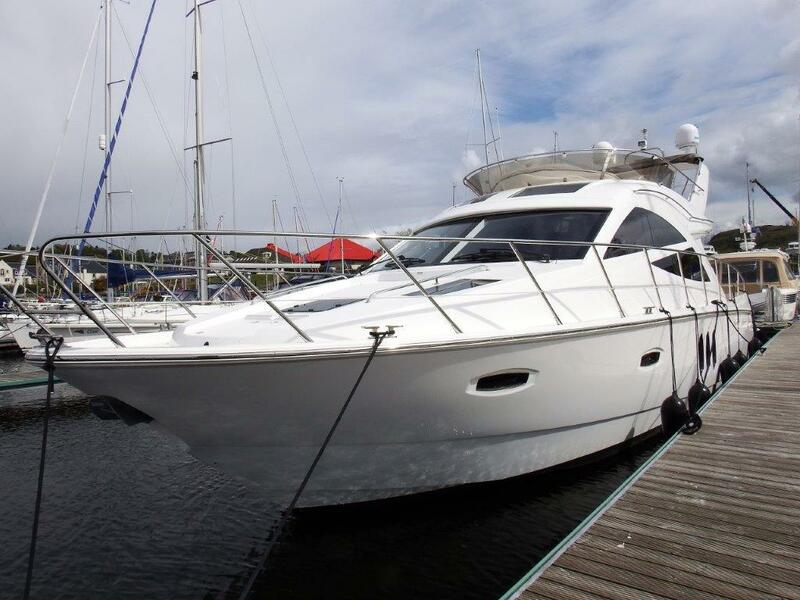 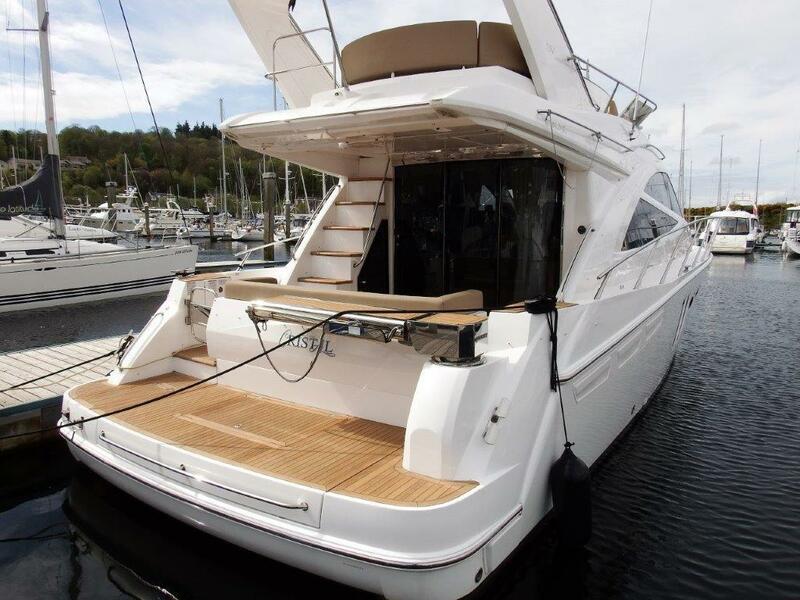 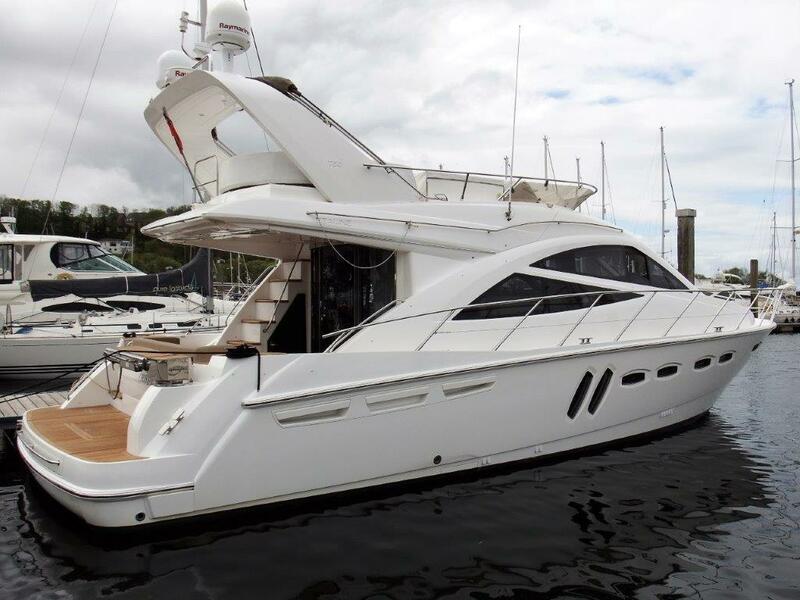 This is a very well maintained example of this exceptionally popular Marque from Sealine. 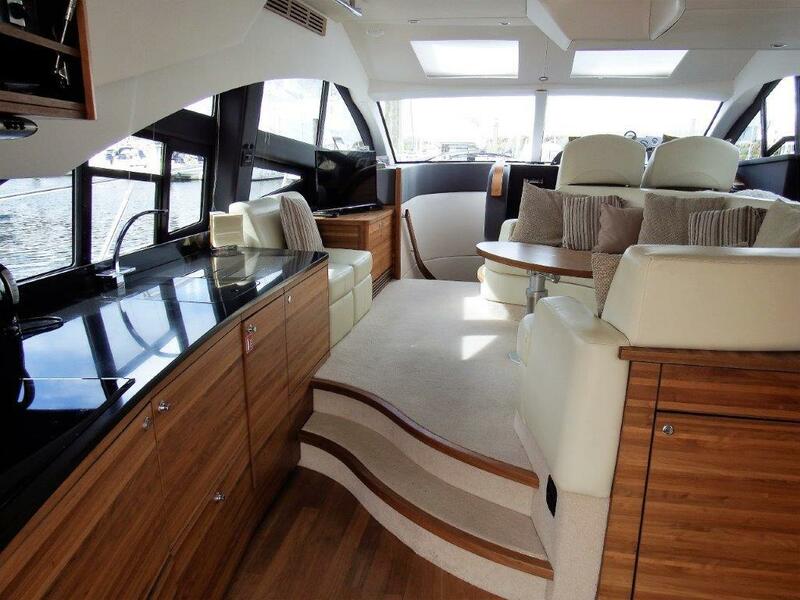 Three cabin version finished in Satin Walnut and Ivory leather to the Saloon. 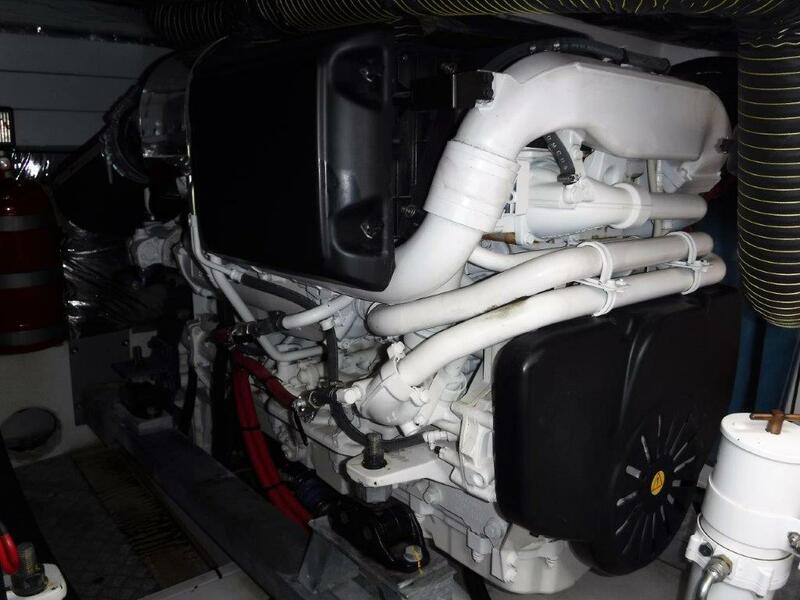 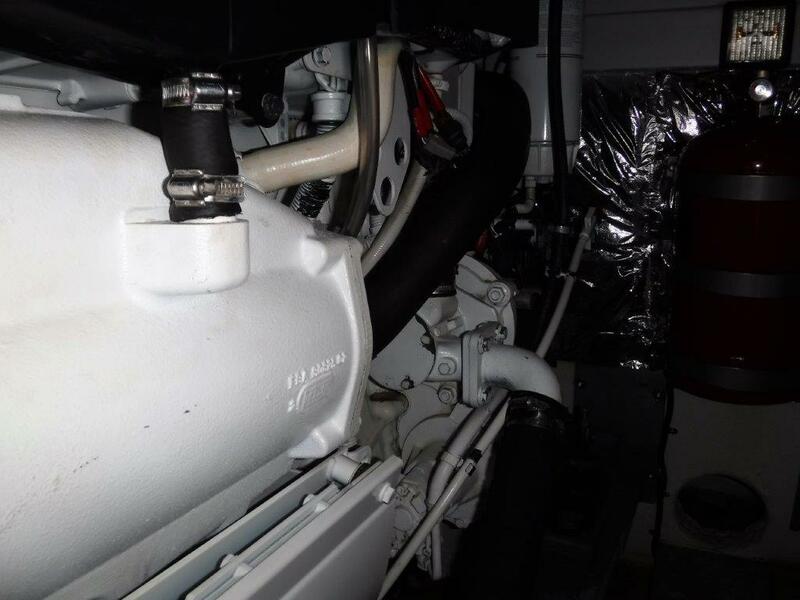 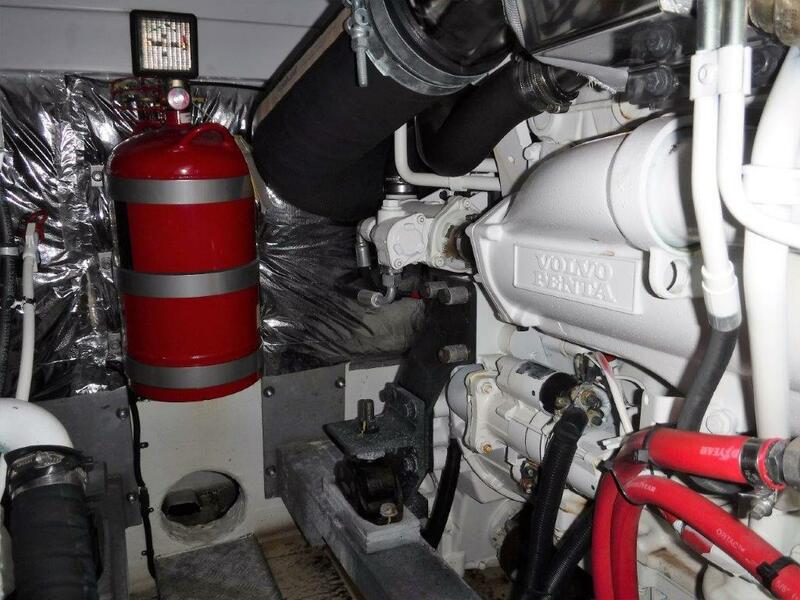 Powered by twin Volvo Penta D9-575hp inboard diesels. 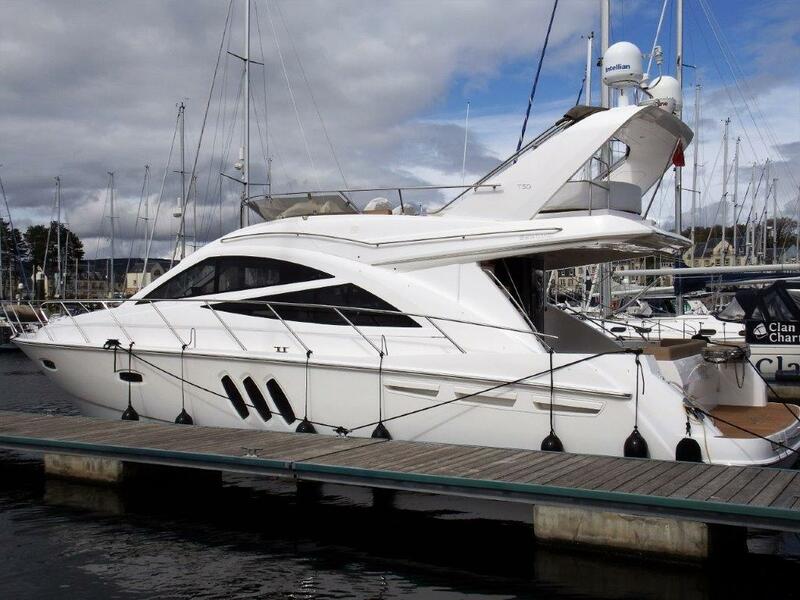 A must see example priced to sell so be quick !!! 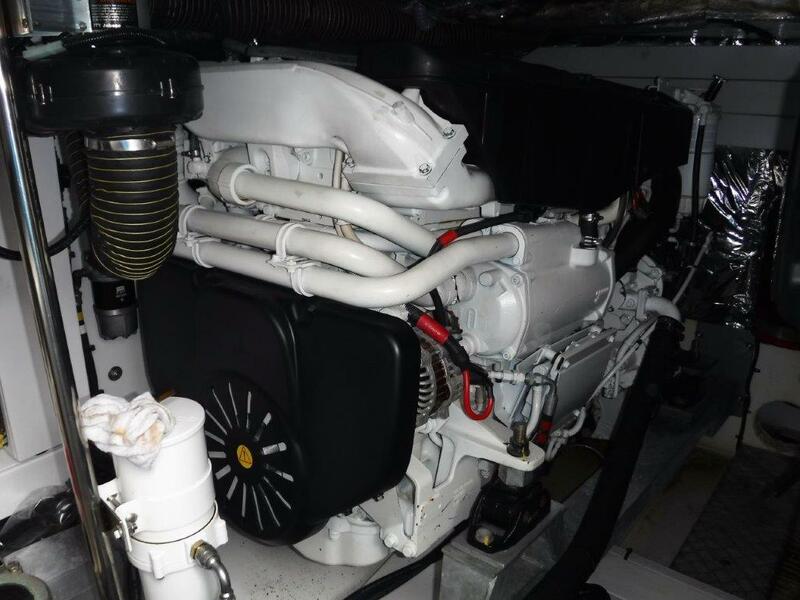 Engine Hours: 370 hrs approx. 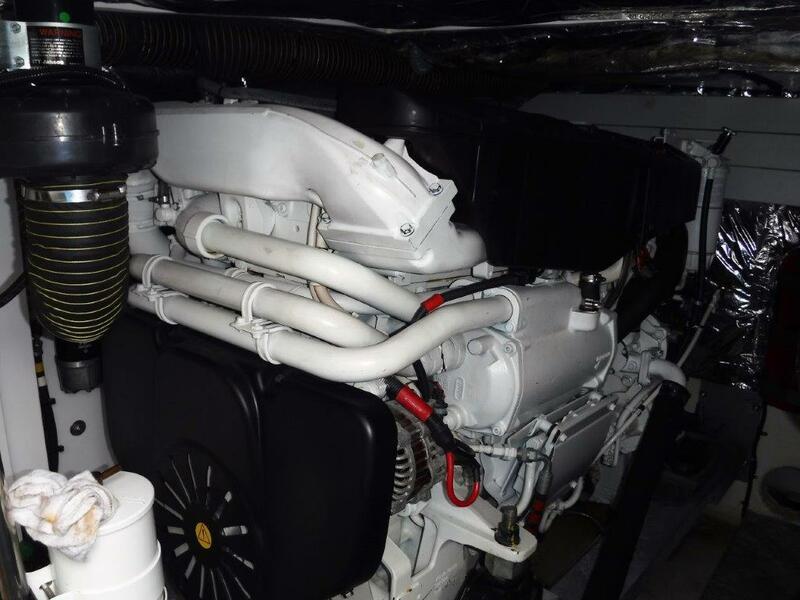 2 x Nickel Aluminium four bladed propellers. 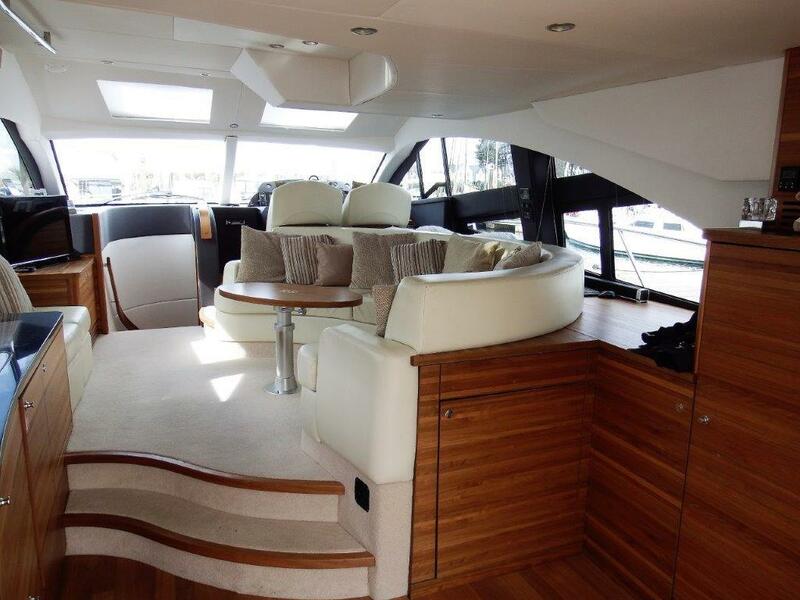 Cruising Speed: 22 knots approx. 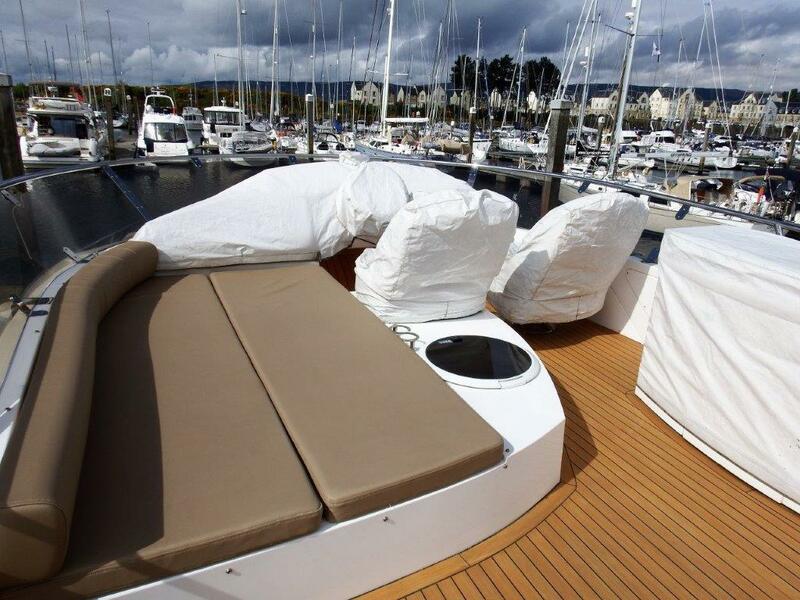 Maximum Seed: 30 knots approx. 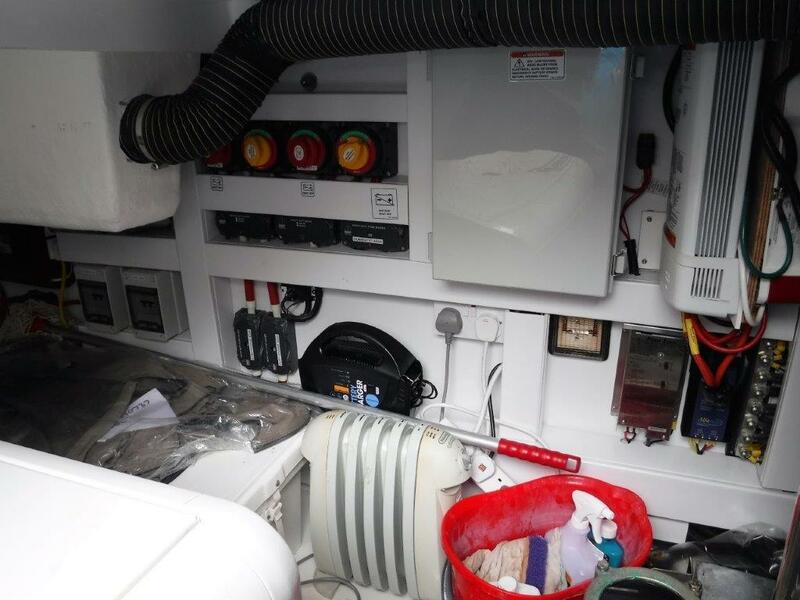 There are 24v electrics throughout supplied by a 2 banks of Heavy duty 24v batteries which in turn arte charged by the 24v engine alternators. 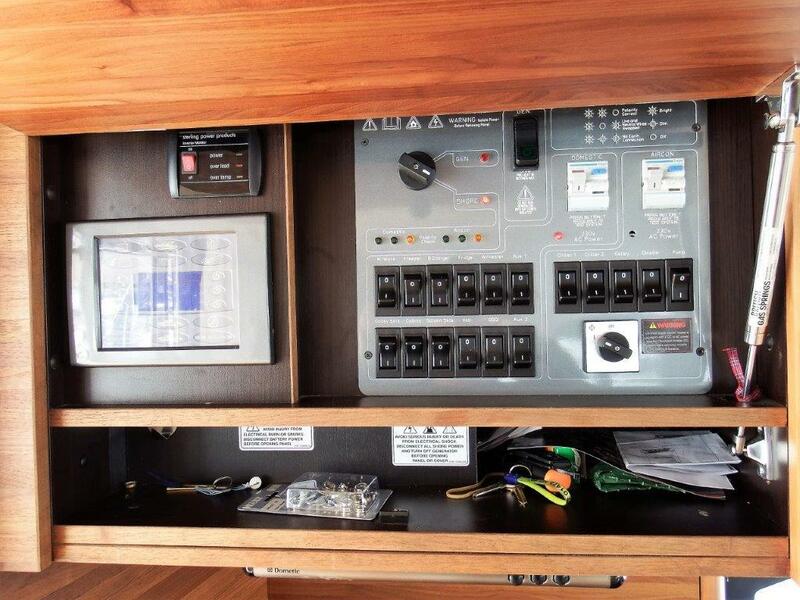 There is also a 240 volt shore power supply with ring mains and a inline 24v/30a battery charger. 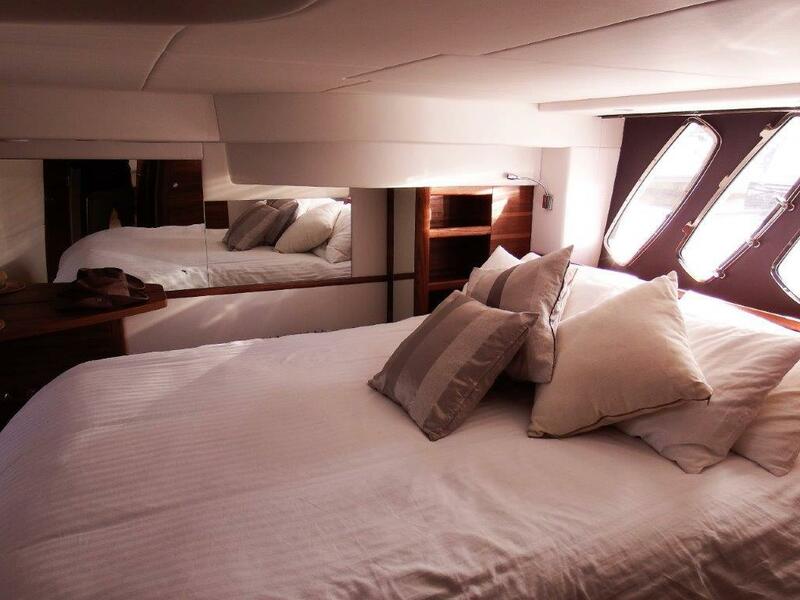 Six berths in three separate cabins arrangement from forward. 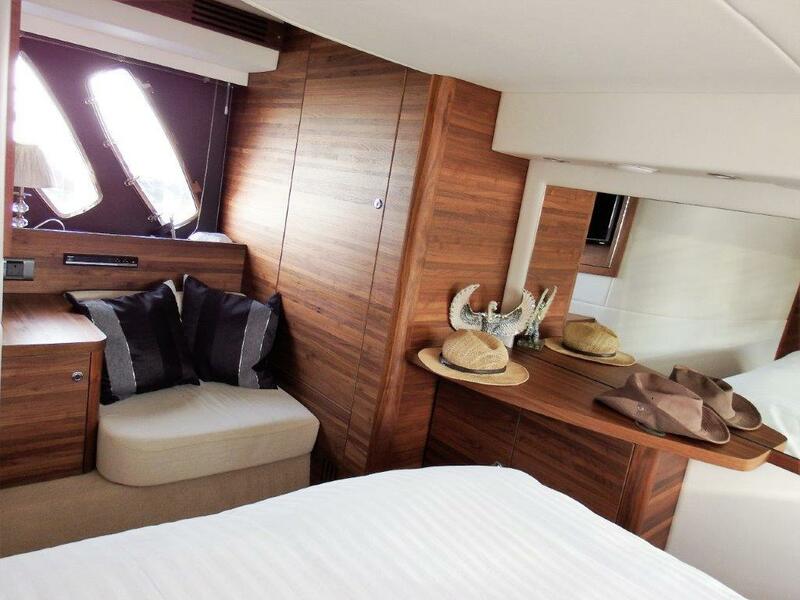 Guest cabin forward with large island bed, hanging lockers and good stowage en-suite access to heads and shower. 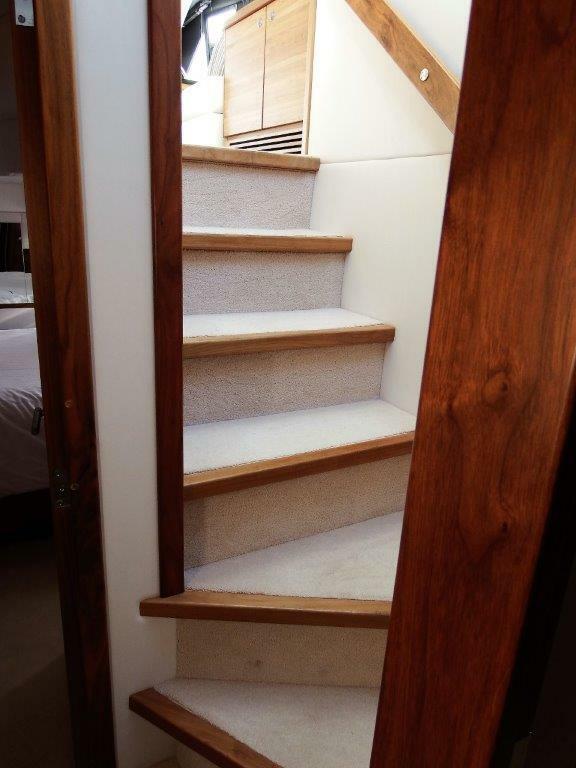 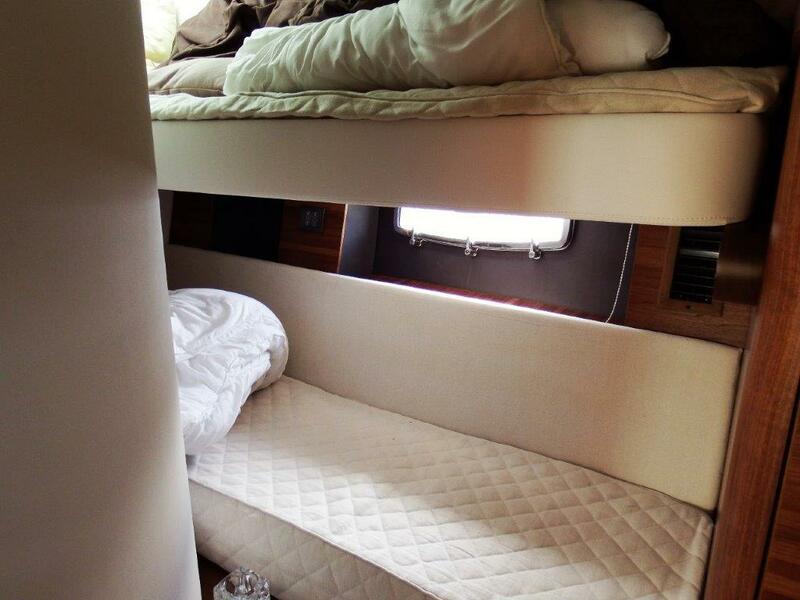 Twin over and under bunks in separate cabin on Port side with good stowage. 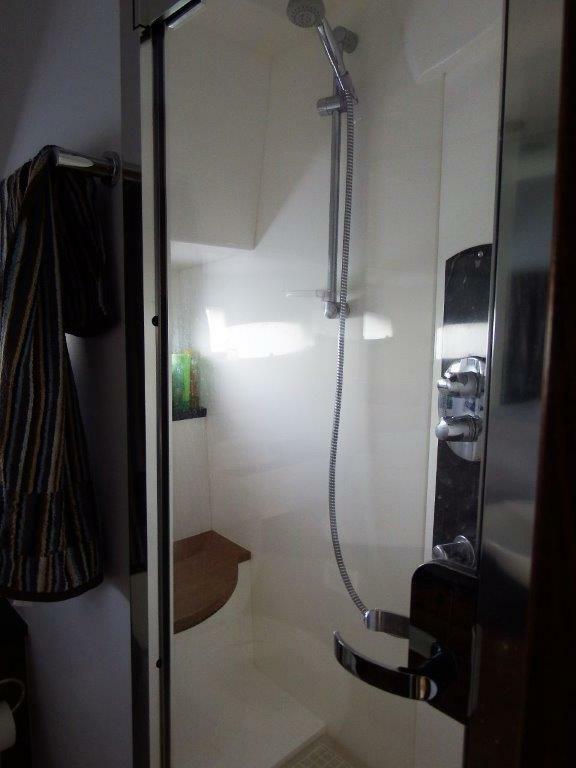 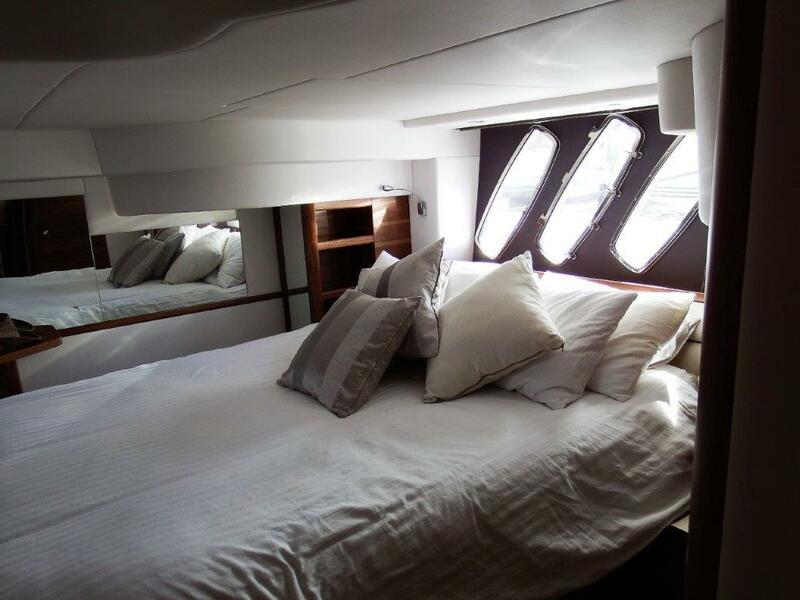 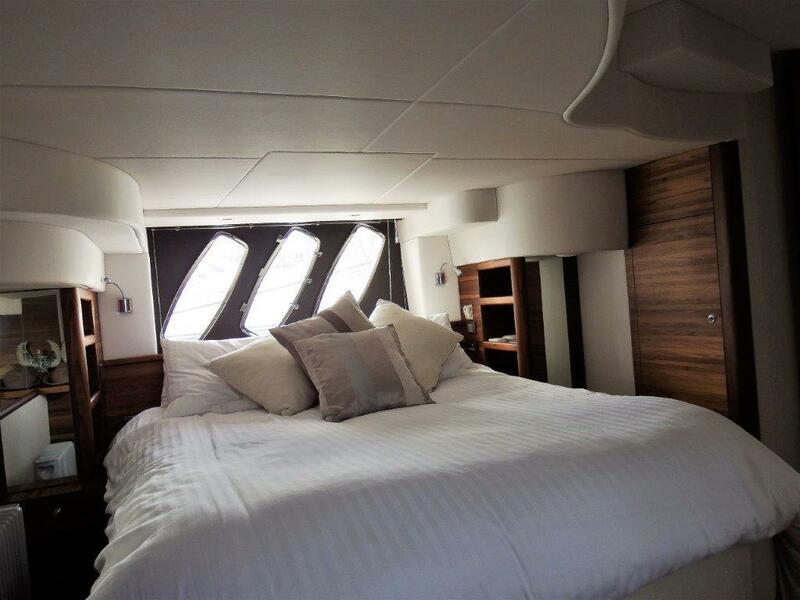 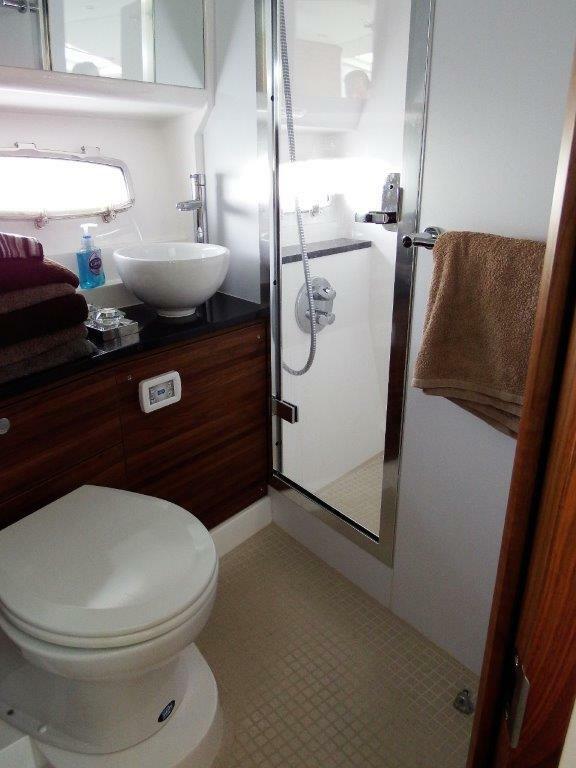 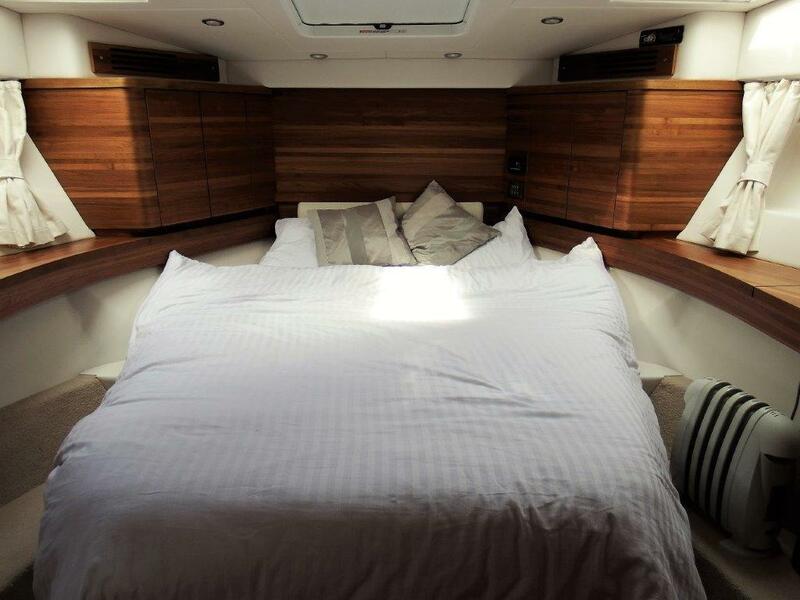 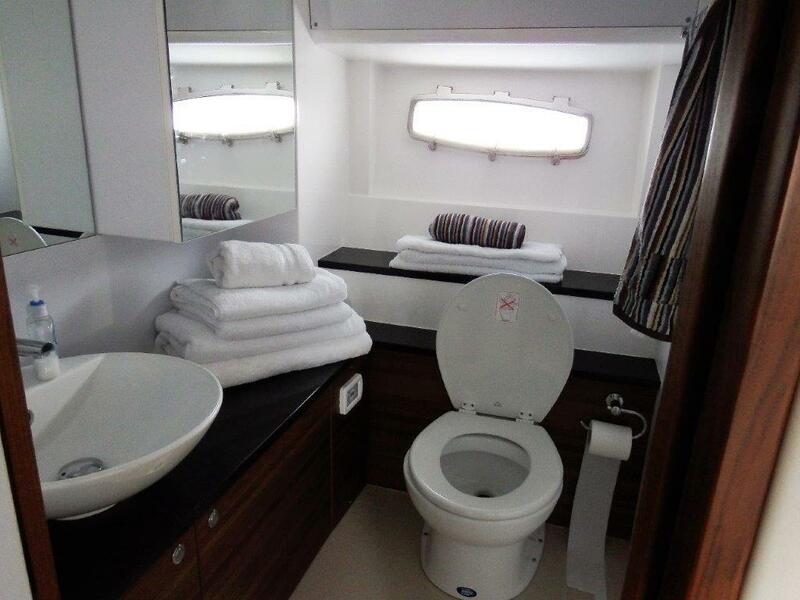 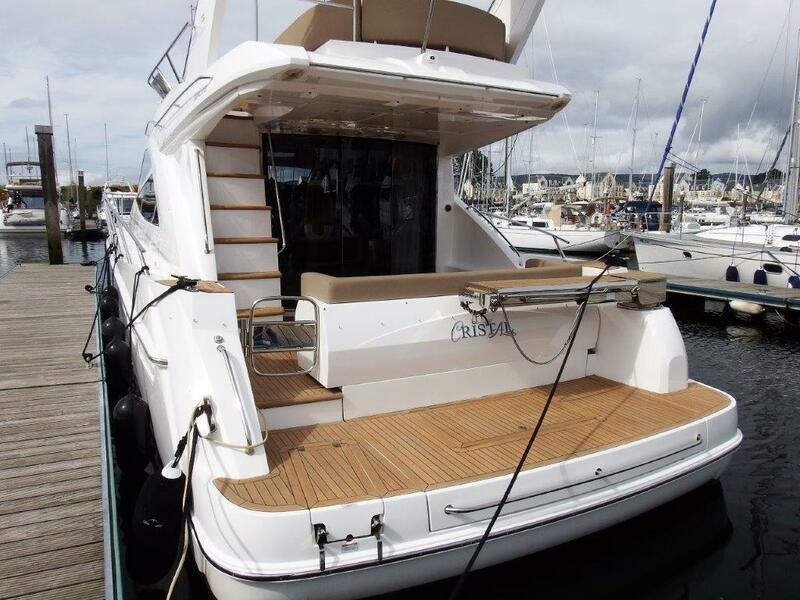 Owners master mid cabin full width of hull , with large offset double berth to Port side good hanging, locker, and cupboard space large en-suite heads with separate shower compartment. 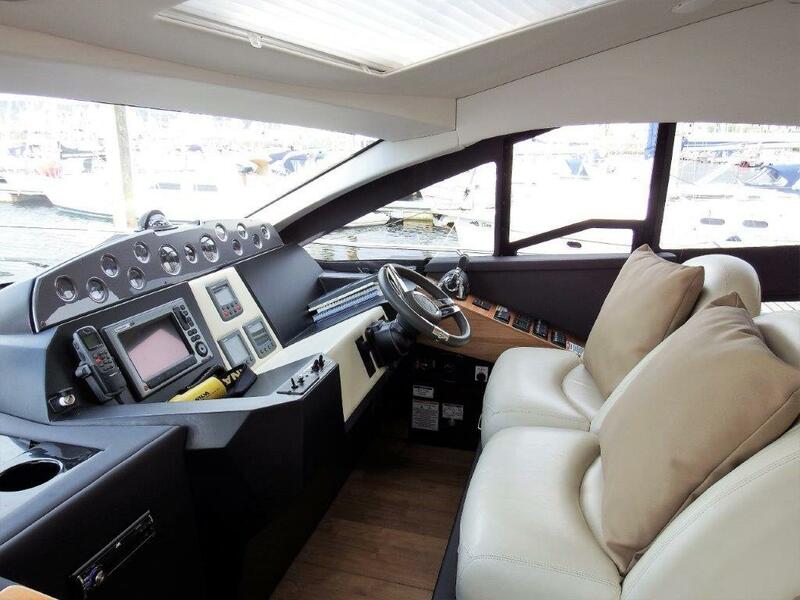 Lower helm position situated to Starboard side with Navigation and engine instrument cluster. 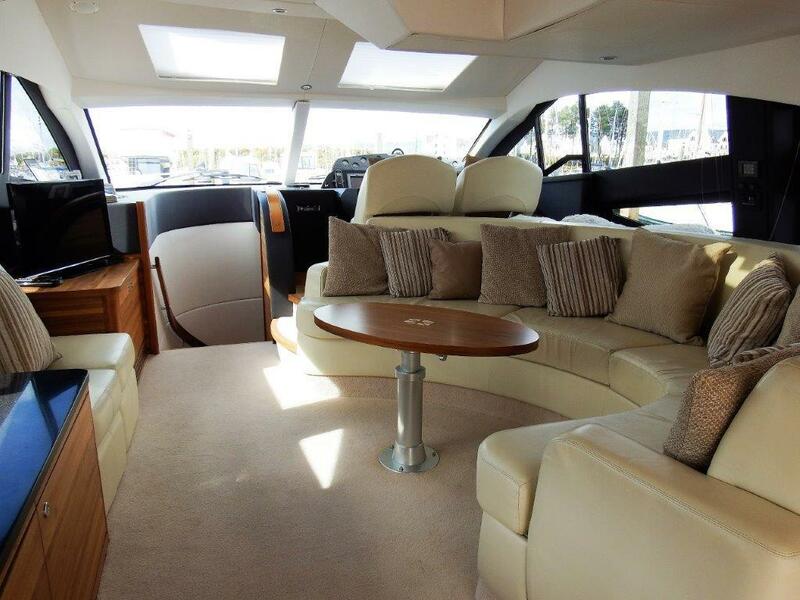 Large 'C' Shaped Saloon seating with coffee/dining table offers panoramic view all round. 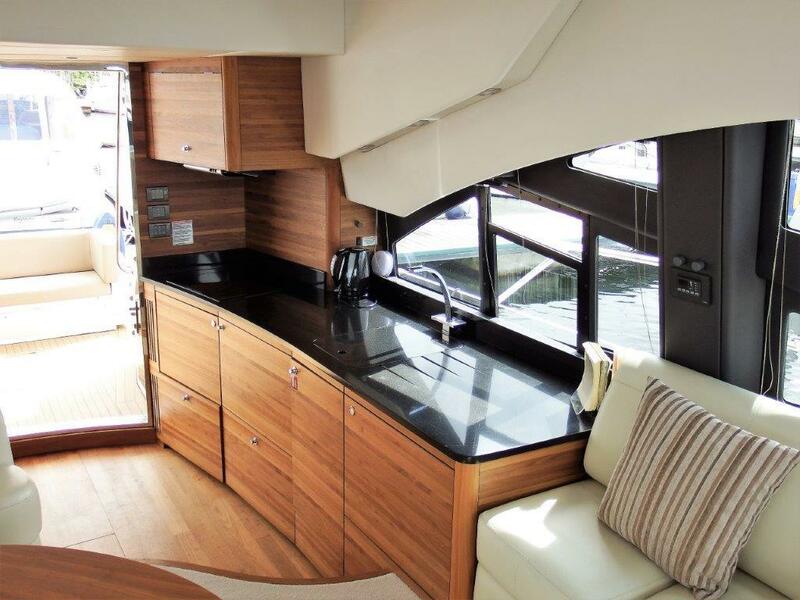 Galley linear style and aft black corian work surfaces good stowage space in way of Locker and cupboards. 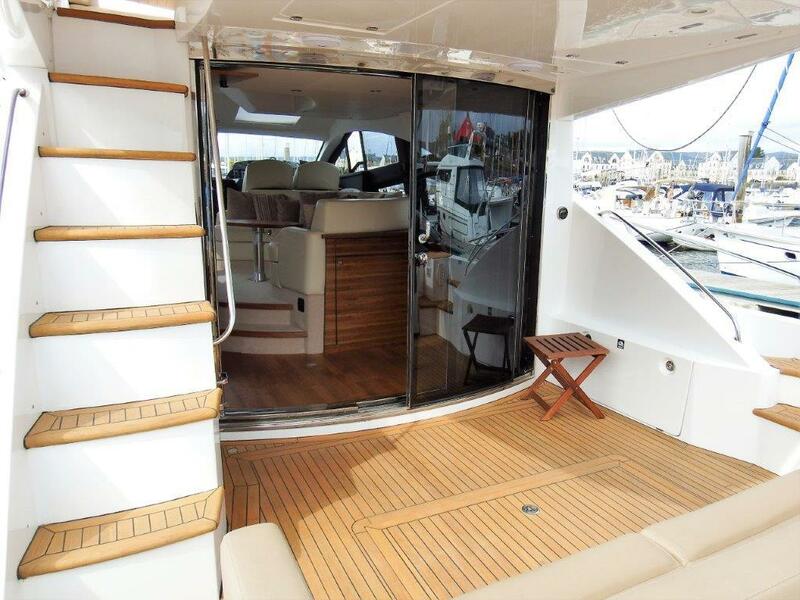 Large aft cockpit with Teak laid decks and bench seating. 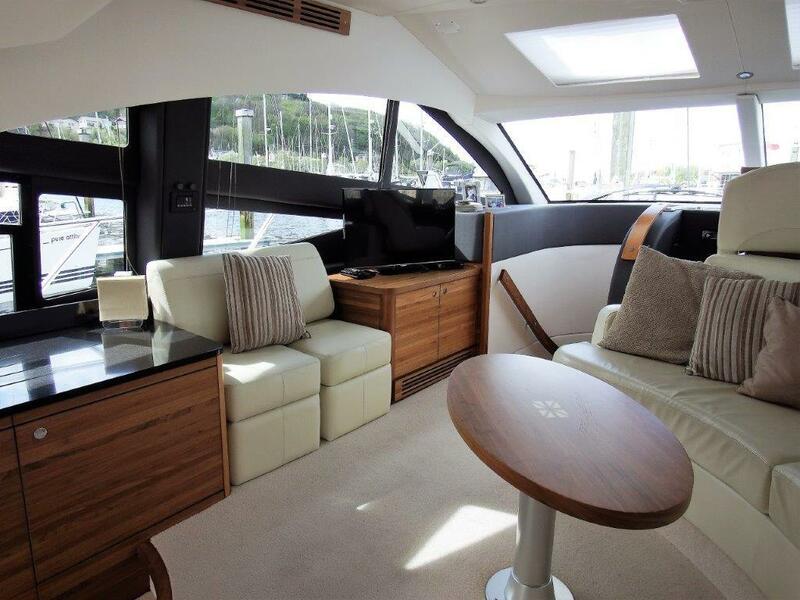 Full flybridge with upper helm position and repeated navigation instruments also large seating arrangement and sun bathing facility. 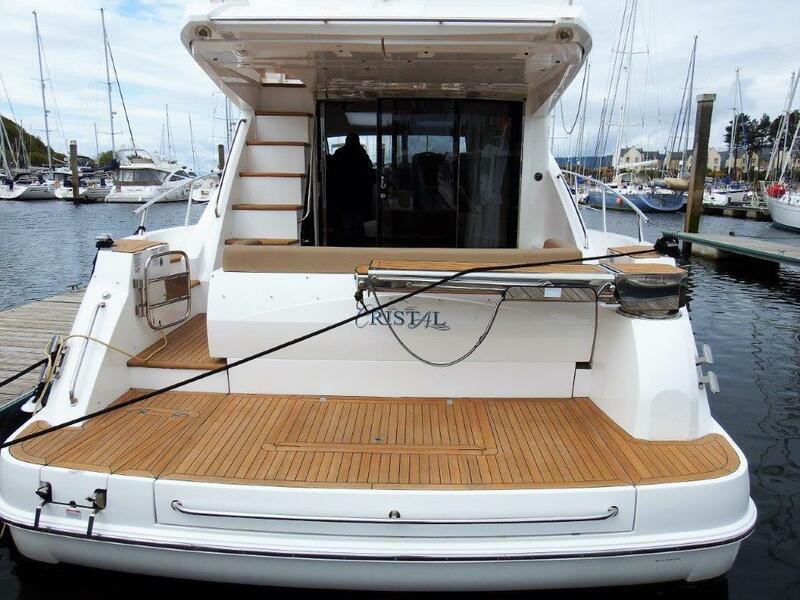 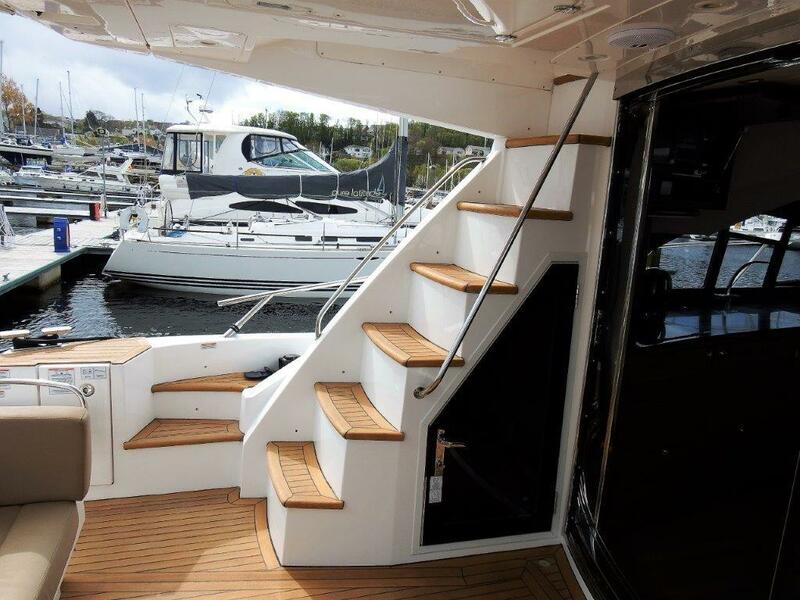 Solid Stainless steel hand rails deck flybridge. 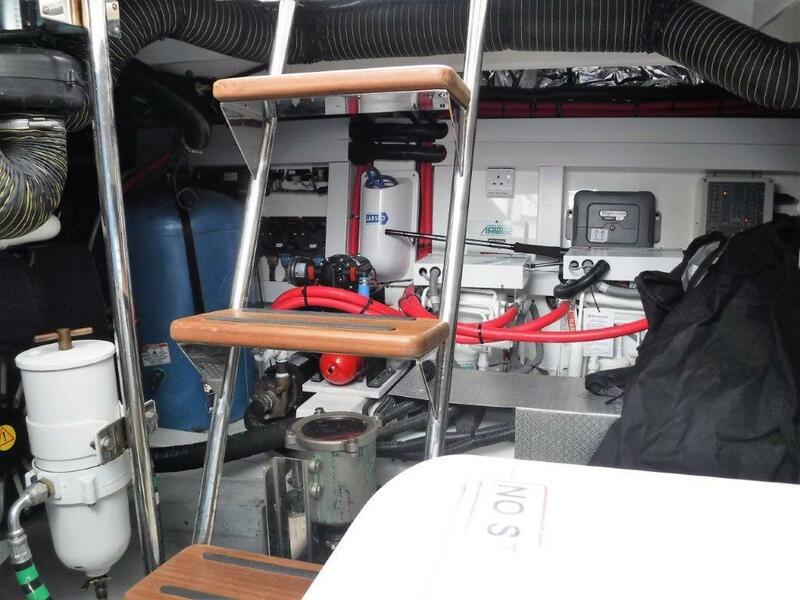 5 x Stainless steel cleats to Port and Starboard side. 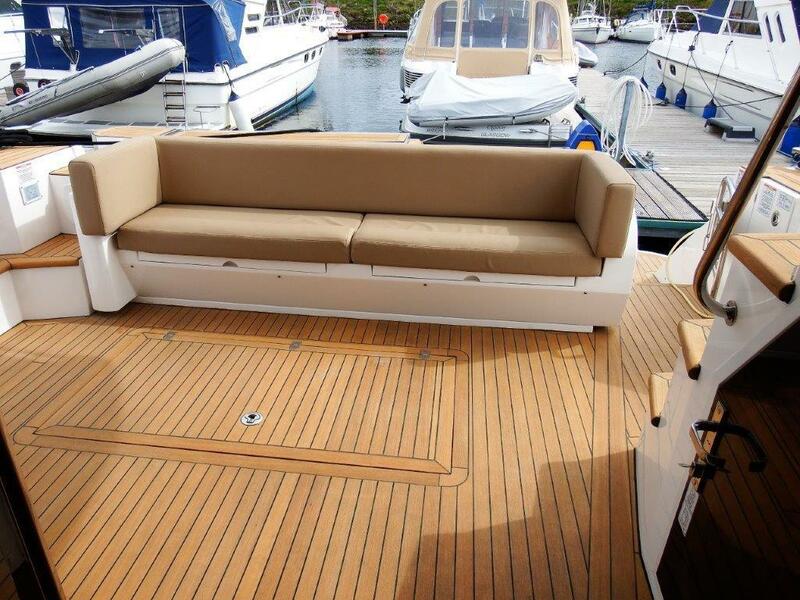 Teak laid decking to Cockpit, Bathing platform and flybridge. 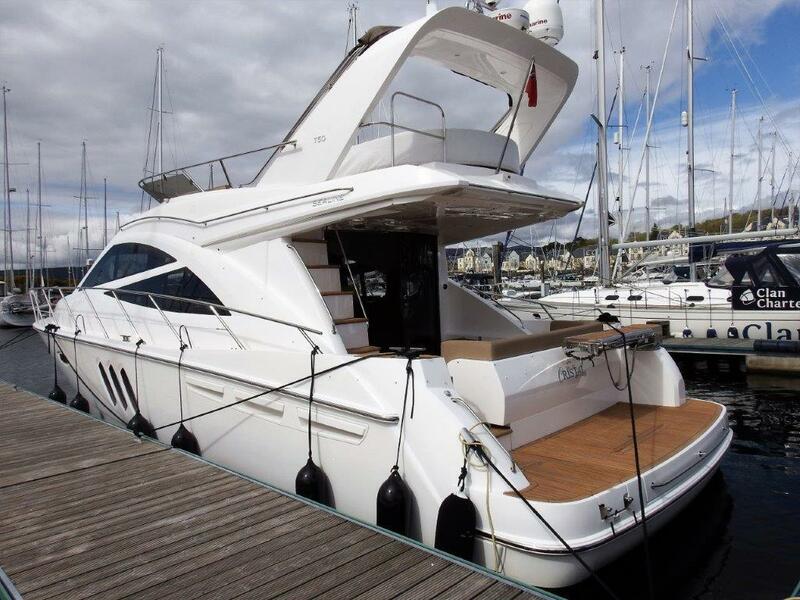 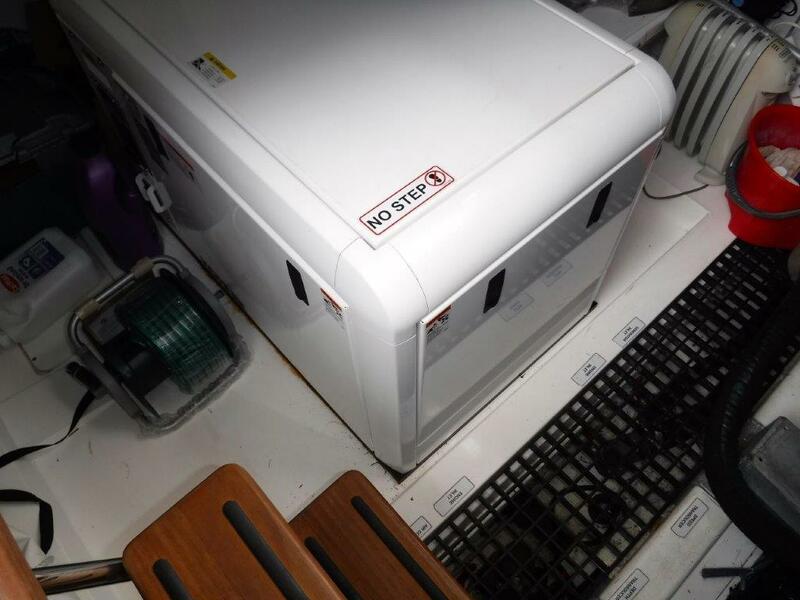 If you would like more information about this Sealine T50, please get in touch using the contact details below, or alternatively by using the contact form on the right.